If you're after a casual yet on-trend look, dress in a black field jacket and yellow shorts. Both garments are totally comfortable and will look great paired together. 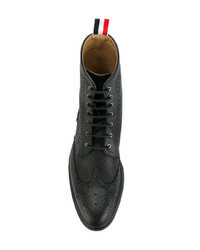 Sporting a pair of Thom Browne wingtip ankle boots from farfetch.com is an easy way to add some flair to your getup. 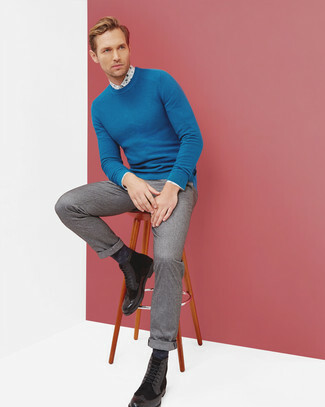 Try teaming a blue crew-neck sweater with grey wool dress pants for a classic and refined silhouette. 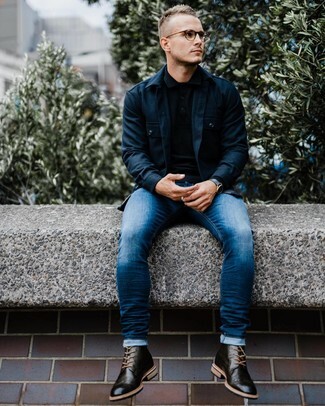 For something more on the daring side to complement this outfit, grab a pair of black leather brogue boots. This combo of a grey wool blazer and navy chinos is so easy to make up in no time, helping you look amazing and ready for anything without spending a ton of time rummaging through your closet. When it comes to shoes, this getup is round off wonderfully with Thom Browne wingtip ankle boots. 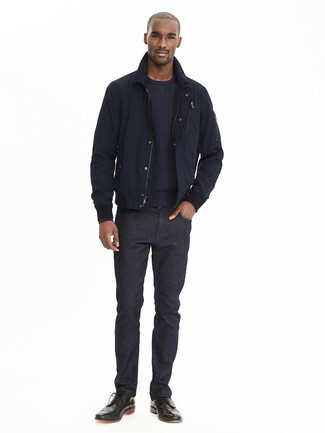 If you're on the lookout for a casual yet on-trend ensemble, try teaming a navy bomber jacket with black jeans. Both items are totally comfortable and will look great paired together. 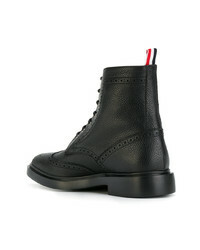 Throw in a pair of Thom Browne wingtip ankle boots for a masculine aesthetic. 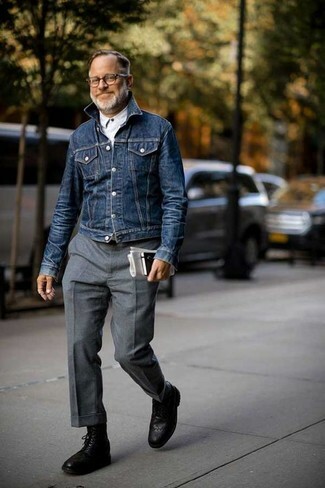 For a nothing less than incredibly stylish ensemble, team a navy denim jacket with grey wool dress pants. Add a sportier feel to your look with Thom Browne wingtip ankle boots. A navy shirt jacket and blue skinny jeans are a nice combination worth having in your off-duty styling routine. 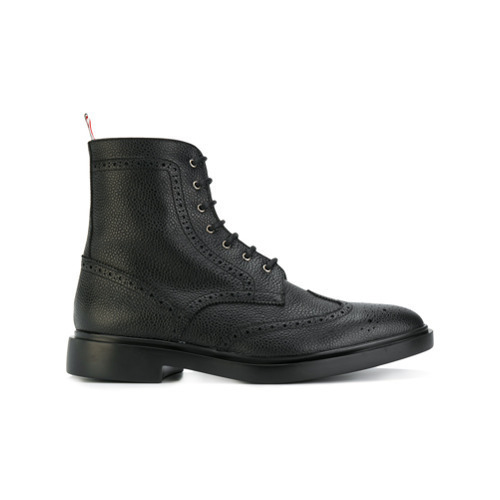 Make a bit more effort now and complete your ensemble with a pair of Thom Browne black leather brogue boots. 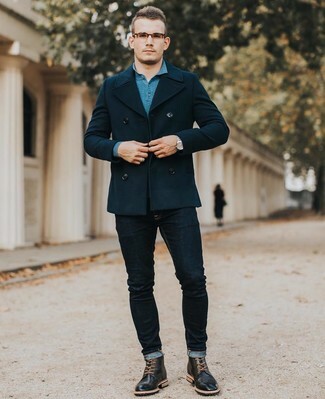 A navy pea coat and navy skinny jeans are a great combination worth having in your day-to-day off-duty collection. 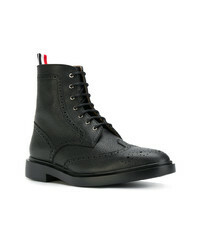 Thom Browne Wingtip Ankle Boots from farfetch.com will easily elevate even the most basic outfit. 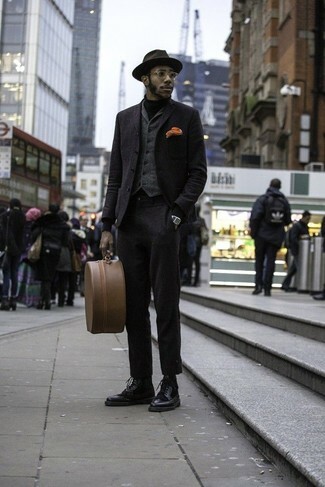 Pair a black wool blazer with a charcoal wool waistcoat for incredibly stylish attire. For something more on the daring side to complete this look, choose a pair of black leather brogue boots. 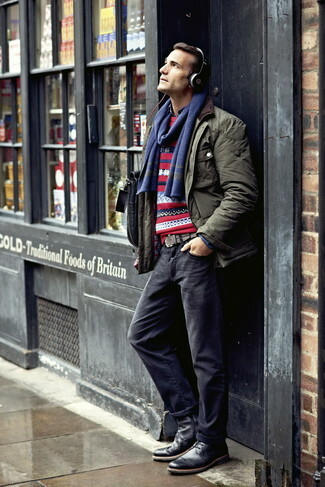 If you're on the hunt for a casual yet seriously stylish outfit, choose an olive field jacket and navy jeans. Both pieces are totally comfortable and will look great together. Sporting a pair of Thom Browne wingtip ankle boots is a simple way to add some flair to your look.